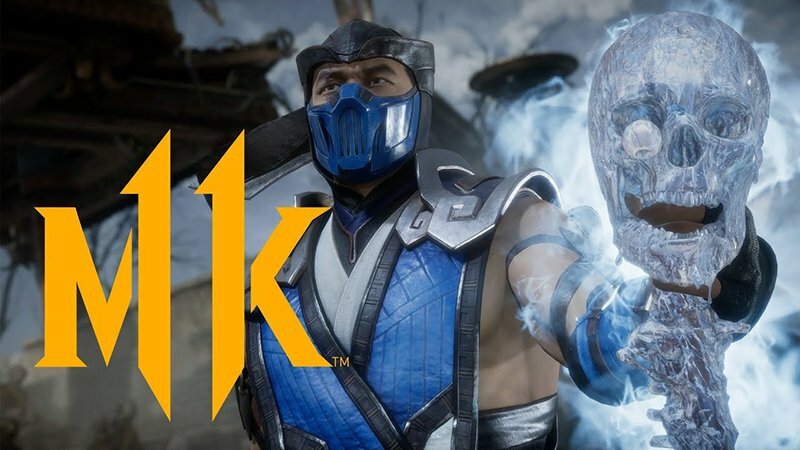 During NetherRealm Studio’s Mortal Kombat 11 gameplay reveal livestream, new footage from the highly-anticipated next installment in the fighting franchise was revealed, including the gameplay reveal trailer, Story Mode, and introductions to new fighters among fan-favorite characters. Check out the trailers and details below! It was also confirmed that UFC champion, Olympic medalist, and WWE superstar Ronda Rousey would voice the character of Sonya Blade, a decorated officer of the Special Forces who remains vigilant until all realms are safe from conquest. The livestream also introduced the game’s Story Mode, teasing the all-new, time-bending narrative and featuring Kronika, the first female boss character in Mortal Kombat history, who is the Keeper of Time and creator of existence. Raiden has upset the balance of history with the death of Shinnok, and tired of the Earthrealm’s defiance, Kronika will bring order to the universe through any means necessary. Geras was another new fighter announced at the Mortal Kombat 11 event. Geras is a powerful and loyal servant of Kronika, who is able to manipulate time. Fan-favorite characters including Baraka, Raiden, Skarlet, Scorpion, Sonya Blade, and Sub-Zero were also announced. A montage of Mortal Kombat’s most iconic feature, Fatalities, was also revealed, showcasing the most gruesome, over-the-top Fatalities in Mortal Kombat history. Exclusive Mortal Kombat 11-inspired Under Armour Anatomix Spawn basketball footwear was also showcased via six custom designs by top sneaker artist and MK Kollective Ambassador Mache. The Mortal Kombat 11 Kollector’s Edition will include the main game, Kombat Pack, Scorpion mask bust, exclusive steel case, commemorative magnet coin, and authenticity plate. In the next evolution of the franchise, the all-new Custom Character Variations give you unprecedented control to customize the fighters and make them your own. The new graphics engine showcasing every skull-shattering, eye-popping moment, brings you so close to the fight you can feel it. And featuring a roster of new and returning Klassic Fighters, Mortal Kombat’s best in class cinematic story mode continues the epic saga over 25 years in the making. The last game in the series, Mortal Kombat X, was released in 2015 to critical acclaim and high sales. The game even won Best Fighting Game at The Game Awards 2015, but the series has remained dormant since then. The Warner Bros. Interactive and NetherRealm Studios game will arrive on April 23, 2019, on the Nintendo Switch, PS4, PC, and Xbox One. You can pre-order the game to receive access to the beta, available March 28, 2019, as well as the in-game, playable character Shao Kahn.